Italy has rejected Germany's allegations of hidden diesel-emissions software in some Fiat Chrysler models including the Fiat 500X (shown). BRUSSELS -- The European Commission called on Italy to provide proof against Germany's allegation that Fiat Chrysler used illegal exhaust emissions defeat devices, stepping up pressure on the group amid accusations of emissions manipulation against it in the U.S.
Germany has asked the EU executive to mediate its dispute with Italy, which rejected Germany's allegations of hidden software on the Fiat 500X, Fiat Doblo and Jeep Renegade models that allowed excess diesel emissions. Germany's motor vehicle authority, the KBA, began testing the vehicles of several manufacturers, including Fiat Chrysler, after Volkswagen Group's admission in September 2015 that it cheated emissions tests. 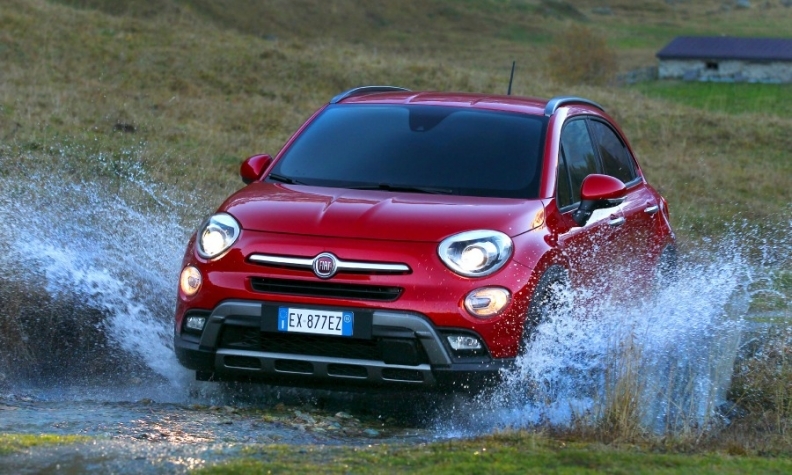 An EU source said that testing carried out on one Fiat 500X vehicle at the EU's own vehicle testing laboratory north of Milan showed suspicious emissions behavior. The U.S. Environmental Protection Agency on Thursday accused Fiat Chrysler of illegally using hidden software in several vehicles to allow excess diesel emissions to go undetected. The agency said the software allowed excess diesel emissions in more than 104,000 U.S. pickups and SUVs sold since 2014. The KBA said it found a device that throttles back the models' exhaust purification system after 22 minutes -- just longer than official regulatory tests. Fiat Chrysler said at the time that its cars conform to current emissions rules and do not contain defeat devices. In a sign of mounting frustration in Brussels over what EU officials see as governments colluding with the powerful car industry, the Commission said it was now up to Italian authorities to prove no wrongdoing. "The German authorities have expressed serious concerns," Commission spokeswoman Lucia Caudet told Reuters. "We have repeatedly asked Italian authorities to come forward with convincing answers as soon as possible." An EU official said Brussels shares Germany's concerns. The Commission expects to conclude the Italian-German talks on Fiat Chrysler's compliance in the coming weeks but it has little power to enforce a settlement. In a system the Commission is now seeking to overhaul, national watchdogs approve new cars and only they have the power to police manufacturers. Once approved in one country, vehicles can be sold across the bloc. As part of a widening clampdown on health-threatening nitrogen oxide (NOx) pollution levels in the wake of the VW diesel scandal, the Commission in December began legal action against Germany, Britain and five other EU member states for failing to police against cheating on emissions tests. Separately, the UK government said it was urgently seeking information from the EPA following the agency's accusation of emissions manipulation against Fiat Chrysler. "We are urgently seeking further information from the U.S. Environmental Protection Agency ... and will also be seeking information from the manufacturer regarding vehicles in the UK market," a transport spokesman said on Friday. Fiat Chrysler CEO Sergio Marchionne angrily rejected the allegations on Thursday, saying there was no wrongdoing and the company never attempted to create software to cheat emissions rules by detecting when the vehicle was in test mode.